A fantastic sports bike with great real world power. This fantastic bike has covered just 30,000 miles and had 4 owners since new. Fitted with a Yoshi can, but otherwise standard through out. This great bike is Mot'd until February 2019. 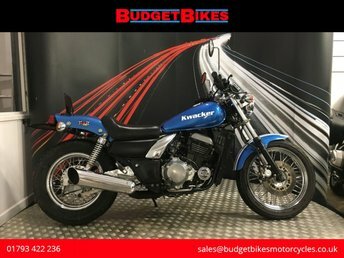 Budget Bikes are pleased to offer for sale this Kawasaki EL250 Eliminator that's in fantastic condition and is HPI clear and documented for its next owner. 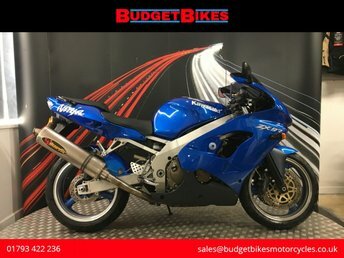 This bike runs great, looks great and is priced great! 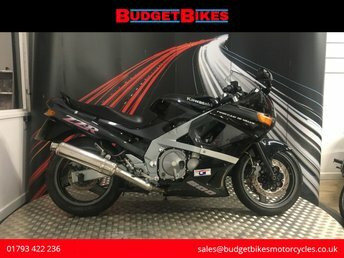 This is a lot of bike for the money and will certainly put a smile on its next owners face! 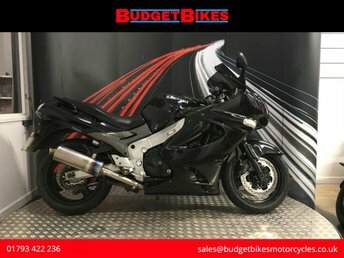 Budget Bikes are pleased to offer for sale this lovely low mileage Kawasaki ZX-9R that is HPI clear and documented for its next owner. This bike comes with its original owners manual, service book and MOT history. The bike has Spyball alarm, Datatag security, Akrapovik exhuast, double bubble screen and rear hugger. 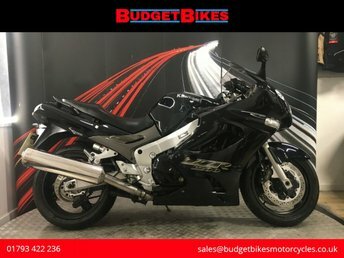 Budget Bikes are pleased to offer for sale this Kawasaki ER6-N that is HPI clear and documented for its next owner. 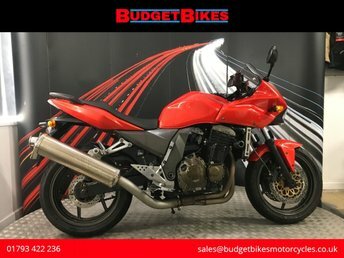 This lovely bike has covered 22,635 miles and comes with its owners manual, MOT history, service book comprising of 4 stamps and an invoice for a new tyre and new chain and sprockets in November 2018. The bike has 2 keys and extras include a Bagster ER6 seat, spotlights, Oxford Heated Grips and adjustable levers. 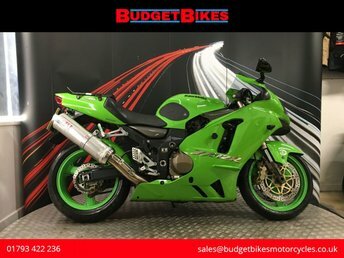 Offering the best choice of used Kawasaki motorcycles for sale in Swindon, Budget Bikes Ltd is the place to come to find your next ride. The Japanese firm is a world-class manufacturer and produces bikes for every type of rider, from the supremely powerful Kawasaki Ninja H2 supersport to the effortlessly stylish Vulcan 1700 Voyager V-twin tourer. Here at our showroom you'll find competitively priced second-hand bikes along with friendly staff who'll always be happy to offer advice and guidance when required. We stock used Kawasaki models to suit every lifestyle and budget and will ensure you find the bike that's the perfect fit for your needs. View our latest range of models here on the website before paying us a visit in person to take a test ride on the model of your choice.